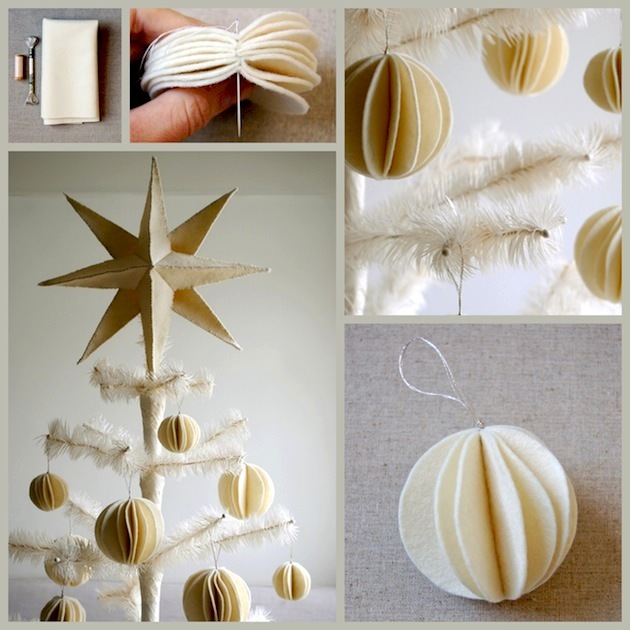 These beautiful, felt ornaments are made by The Purlbee. Looks like snowballs, right? You'll find the detailed tutorial here. Happy sewing!